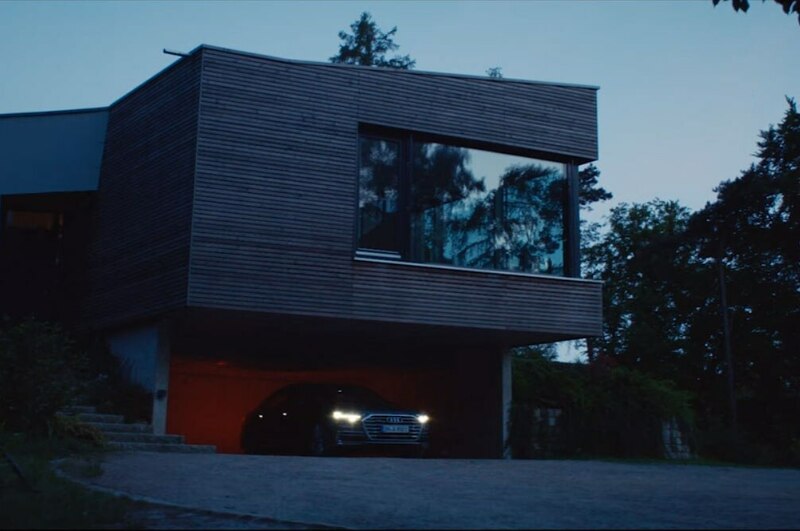 The next-generation Audi A8 has been teased once again. This time, however, it’s revealed in a short video that the car has a new feature enabling owners to use the remote key to command the car to park itself. In the short video, the driver pulls up near a garage and then commands the car to park itself via the key fob. Self-parking features are becoming common among luxury sedans as cars such as the new BMW 5 Series and the 7 Series have this feature as an option. The A8 will be the first Audi to receive the feature, and it will come with a full range of semi-autonomous driving aids. Part of the interior is also revealed, and it shows a new two-spoke steering wheel design that looks futuristic. 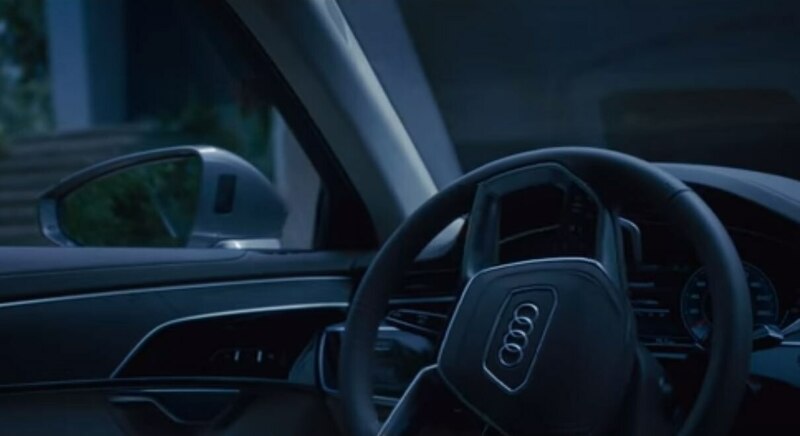 It also shows what looks like Audi’s Virtual Cockpit, which uses a 12.3-inch display in place of traditional analog gauges. The next generation Audi A8 will feature a mild hybrid system with a 48-volt electrical system paired to a V-6 engine. A new coasting mode will be added and enable the A8 to coast with the engine turned off for about 40 seconds at speeds between 34.2 mph and 99.4 mph.